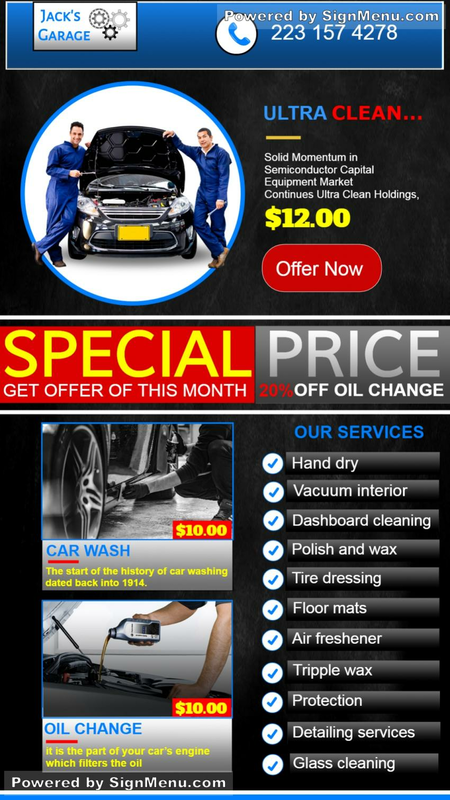 This color template depicts a car wash garage, that also offers oil change services. This template is best placed on a digital screen and at the entrance of the garage. Most car garages are adapting to digital signage advertising since they need to emphasize on trust, efficiency and best services. This template is ready for download and use.